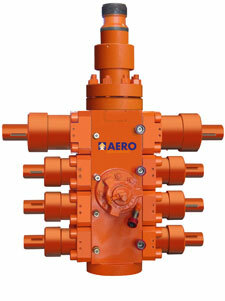 Aero Rental Services is focused on Surface Pressure Control, Choke Manifolds, electric-over-hydraulic Power Swivels, Frac Head, Coil Tubing Equipment & accessories, and tubular handling equipment for workover, re-entry and completion operations, as well as niche under-balanced and deep drilling applications. Whether we build it ourselves or source it from industry leaders, all of our equipment is API fixed and meets or exceeds standard certification specs. All of our pressure testing is digitally recorded and remotely accessible, and each piece of equipment is traceable so that should you need copies of certifications we can easily provide that for you.